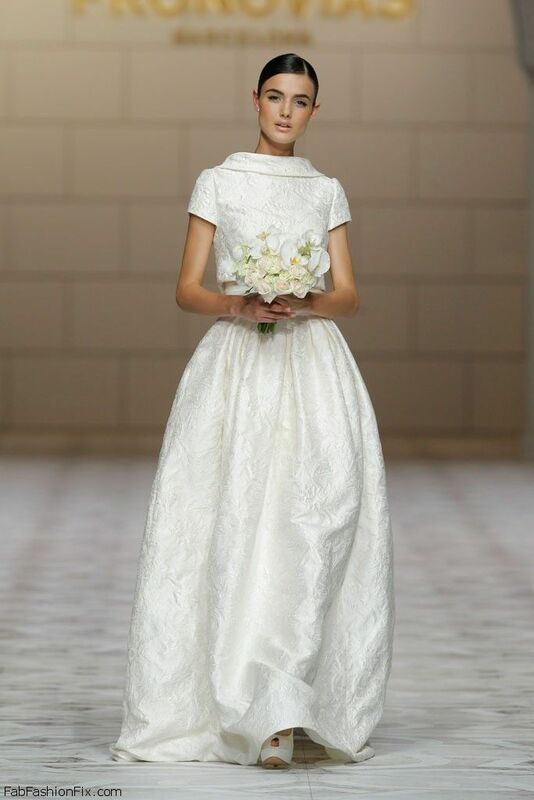 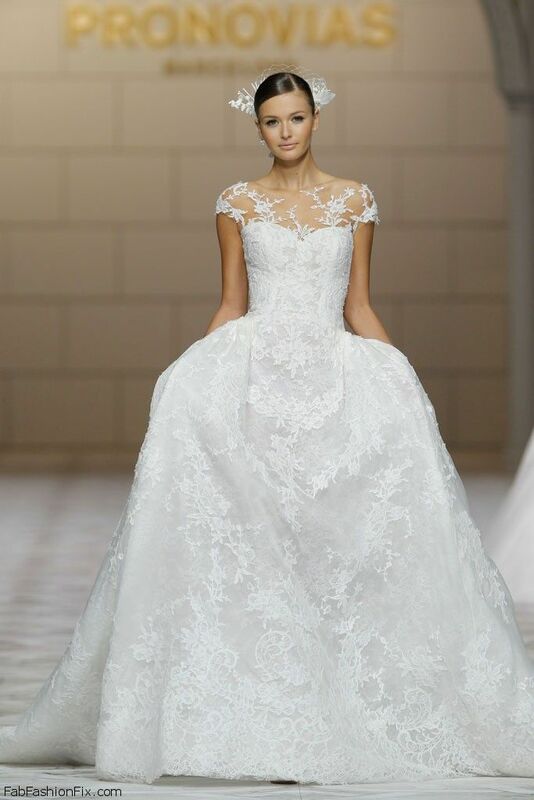 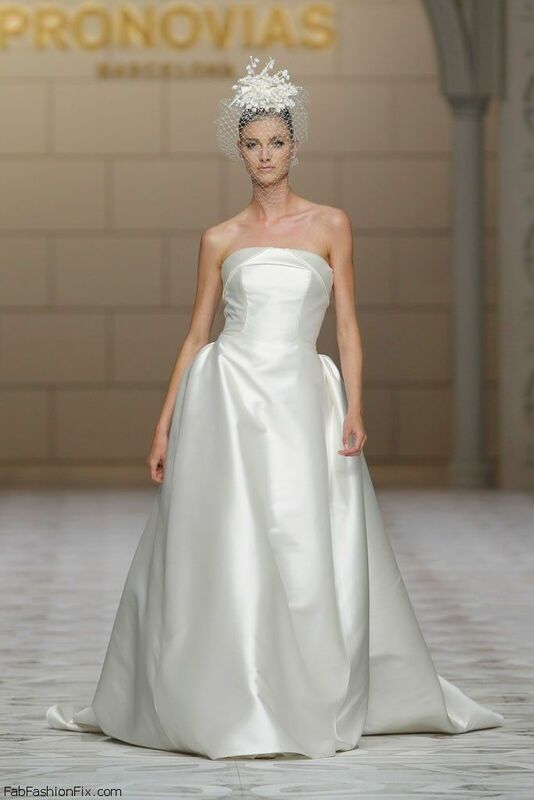 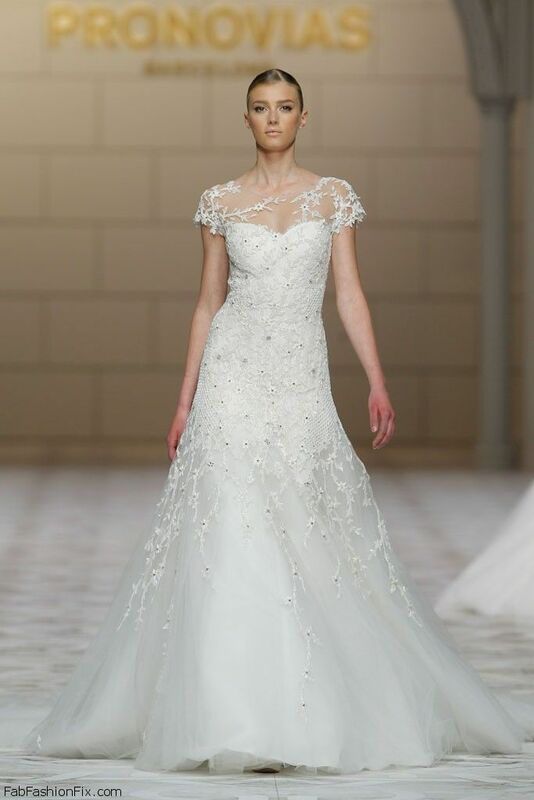 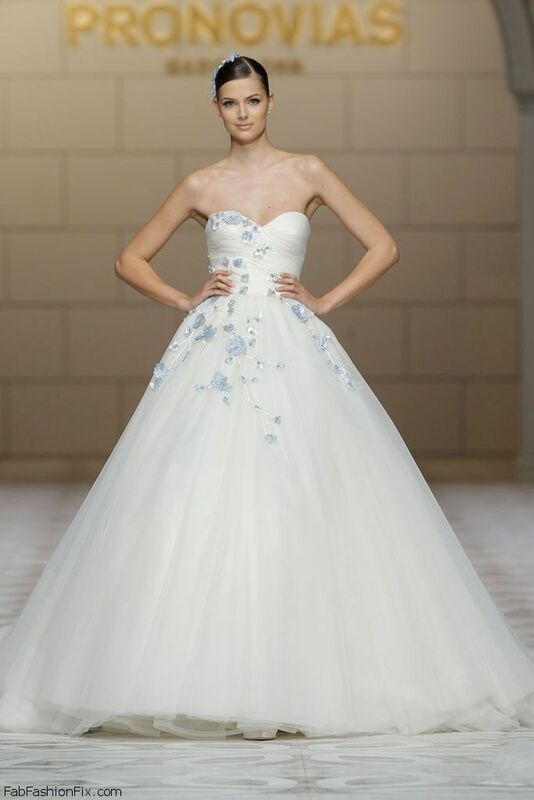 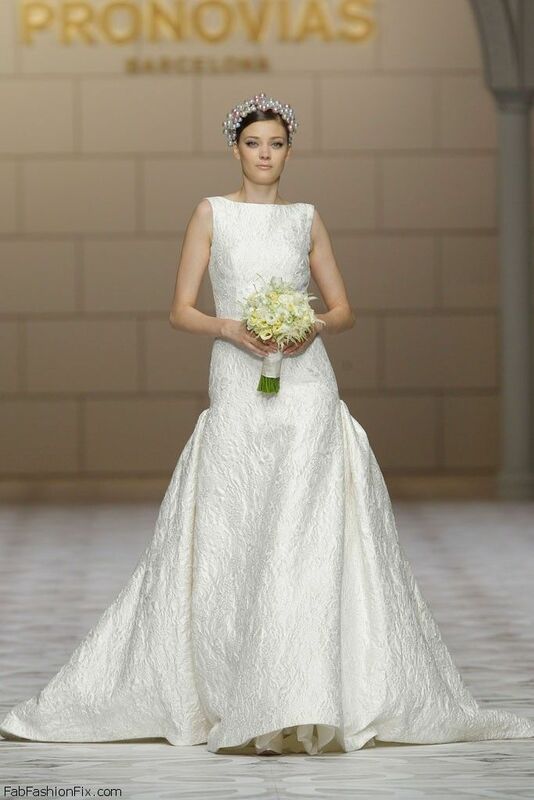 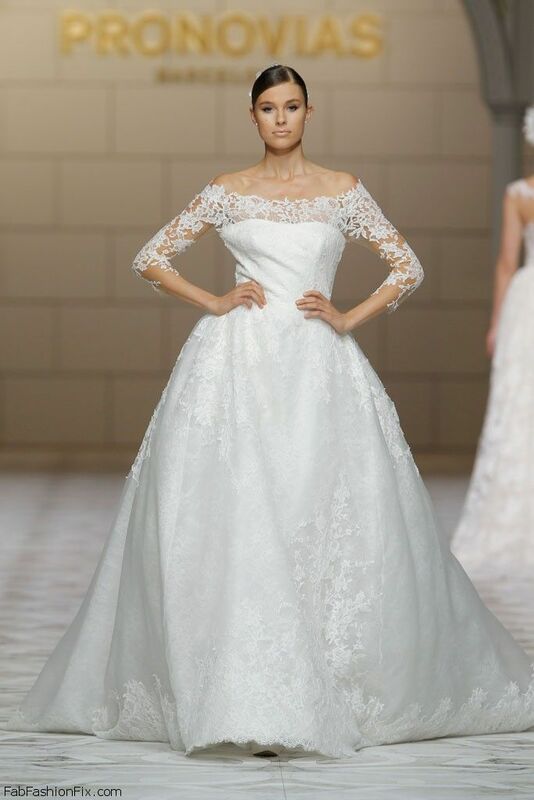 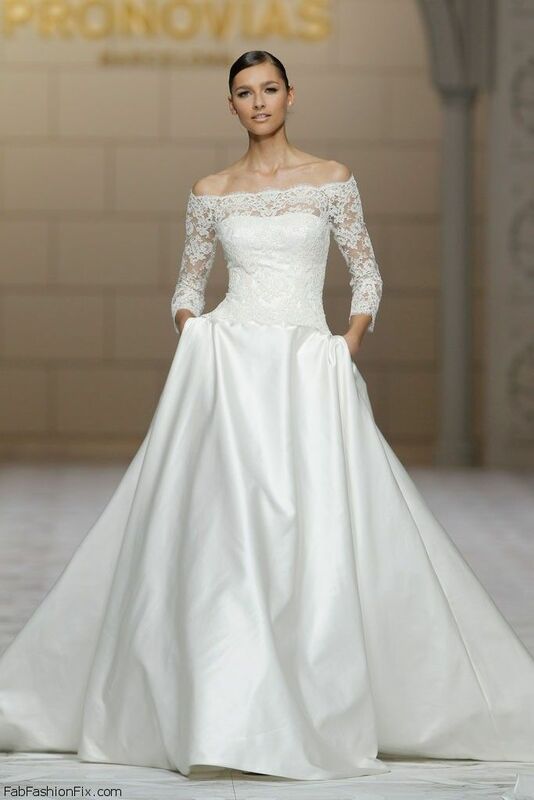 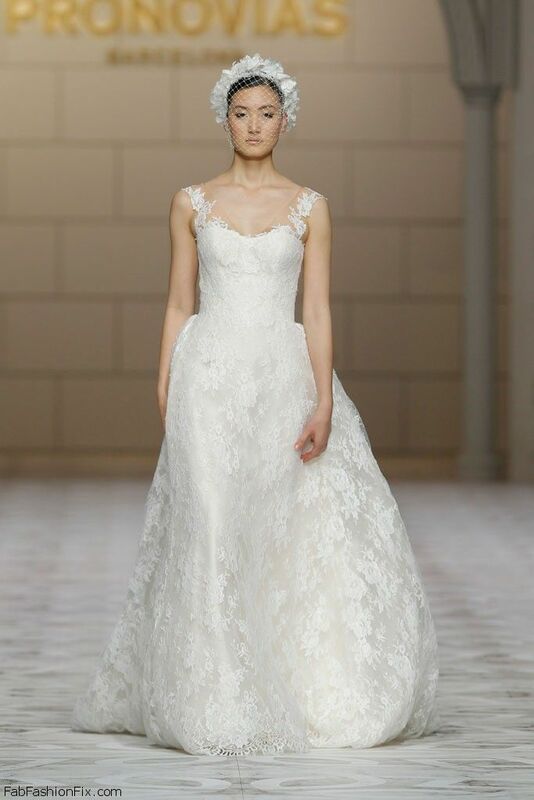 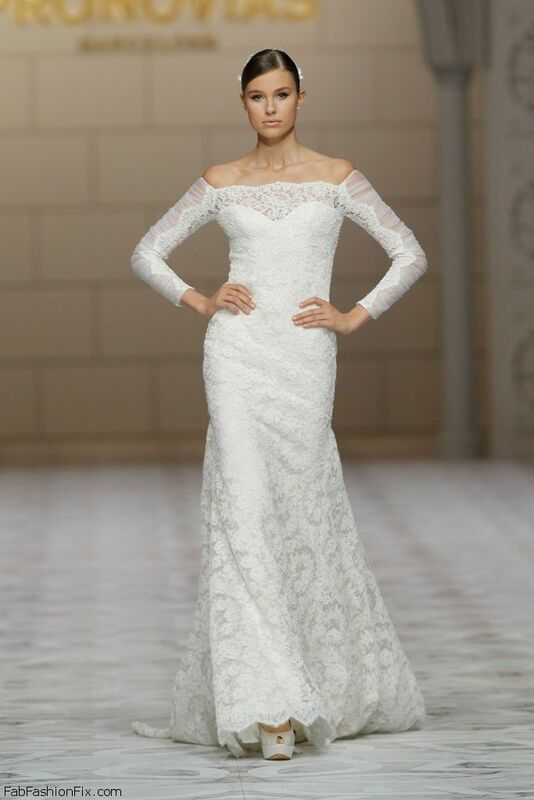 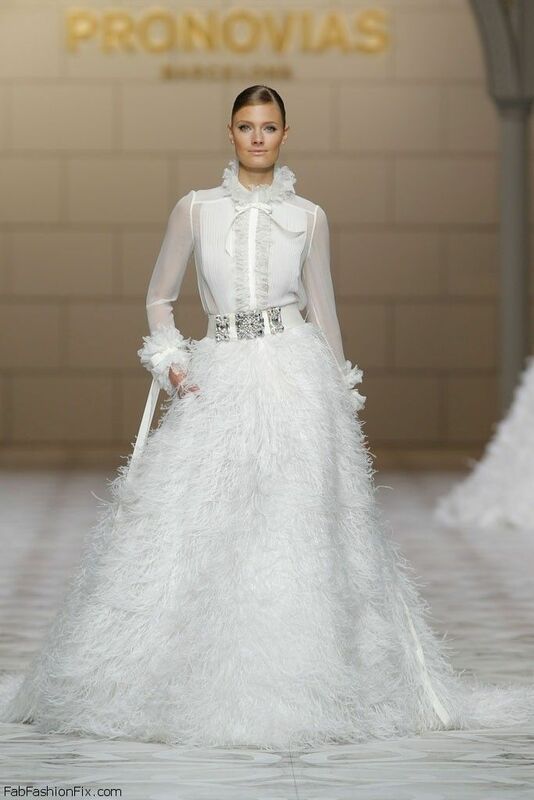 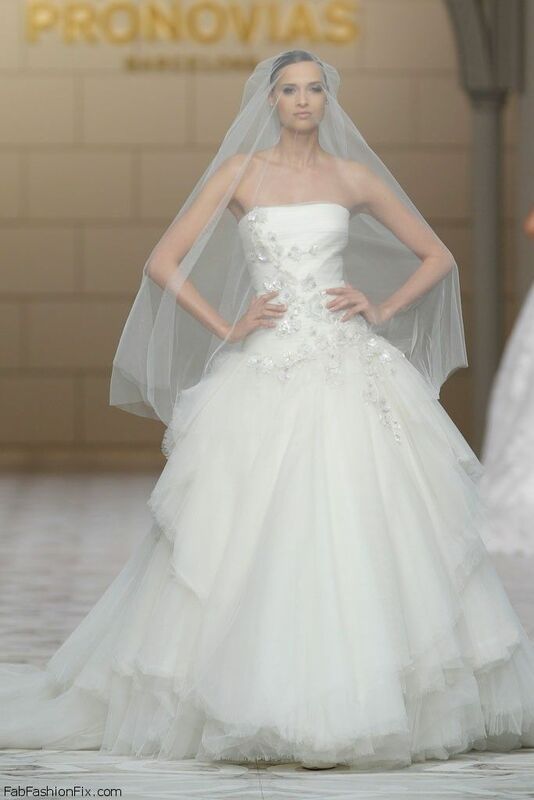 Famous Spanish fashion brand Pronovias celebrated half a century of their brand history with their fashion show for Atelier Pronovias 2015 collection, which was inspired by the company’s long, successful trajectory. 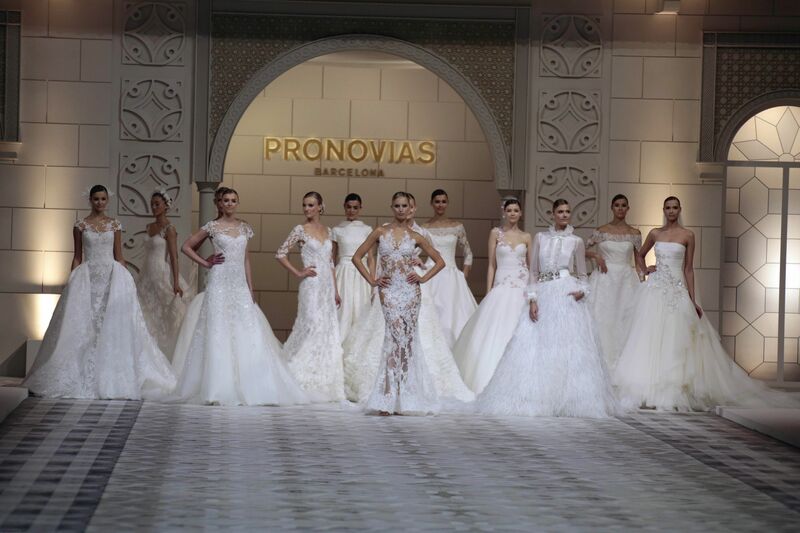 The Pabellón Italiano de Barcelona was packed with more than 2,000 people, guests and clients from all over the world, who enjoyed “Pronovias Dream Factory”. 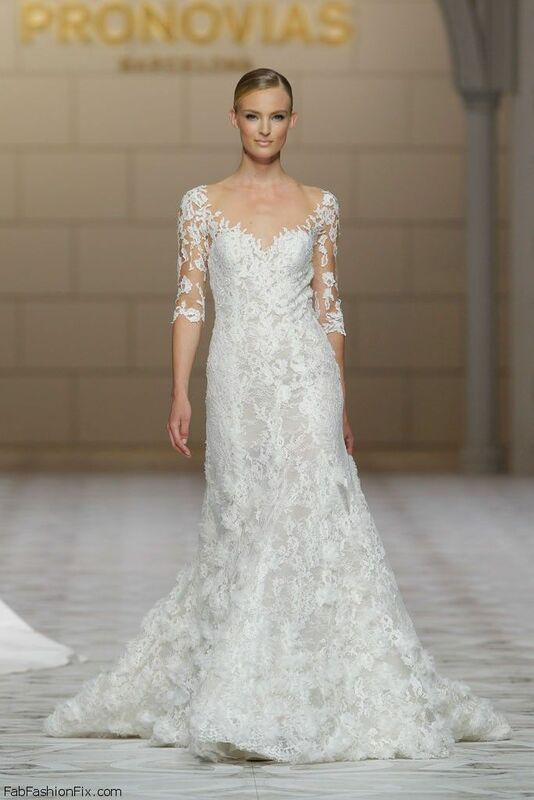 The Pronovias brand is a family fashion house that was founded in El Suizo, a prestigious Barcelona store which specialized in lace, embroidery and high-quality silk fabrics founded by Alberto Palatchi Bienveniste in 1922. 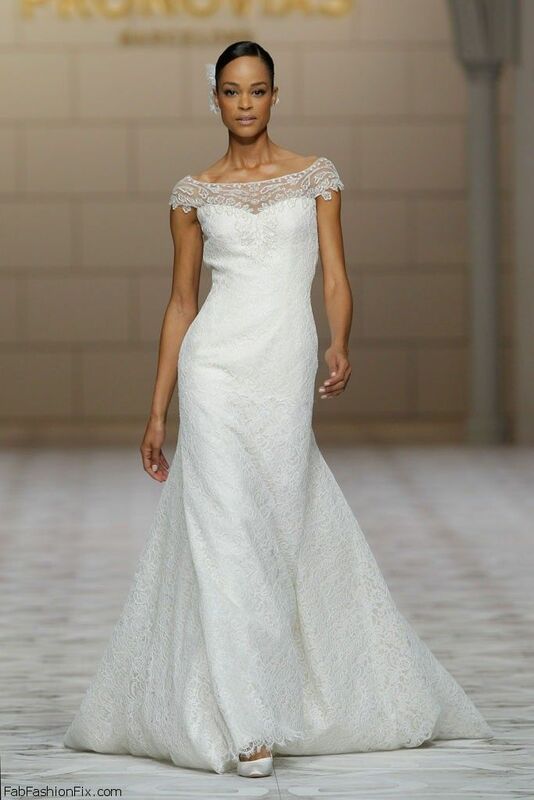 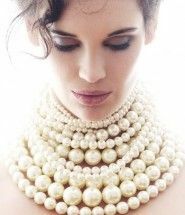 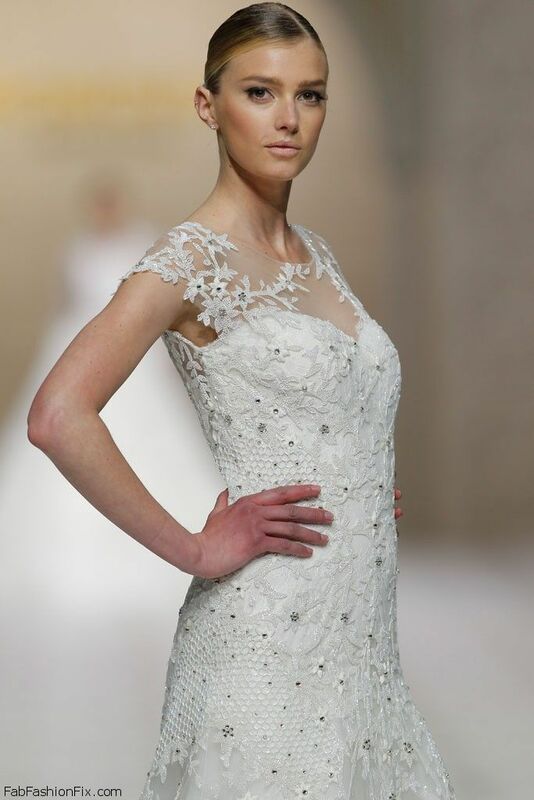 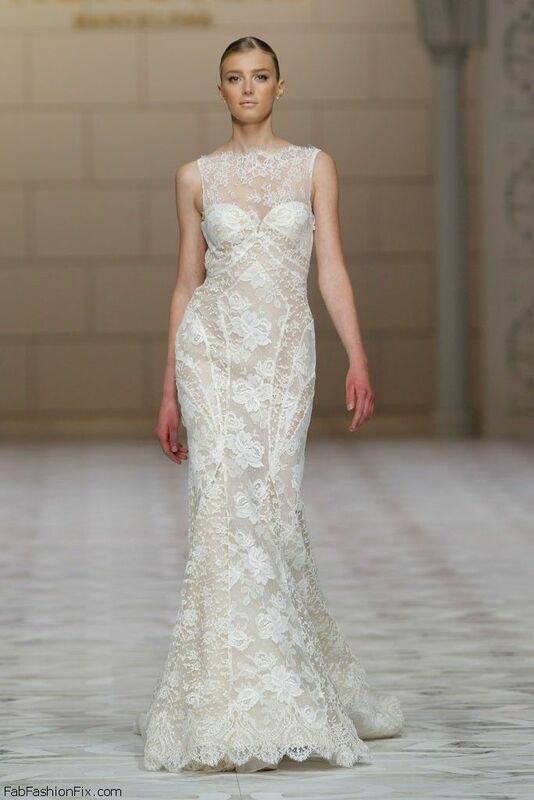 Pronovias brings a European sense of timeless elegance and affordable luxury to brides worldwide. 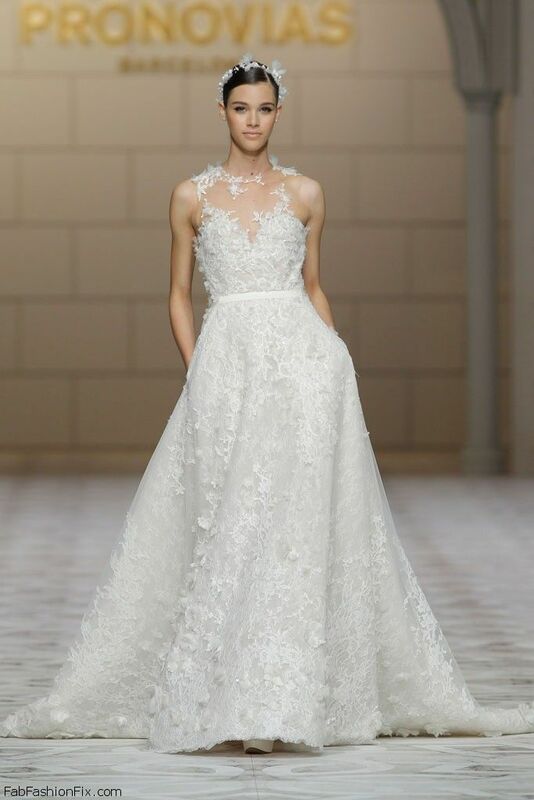 Sumptuous fabrics are the essence of the Atelier Pronovias collection: exquisite French and Chantilly lace, mikado silk, crepe or brocade are particularly important. 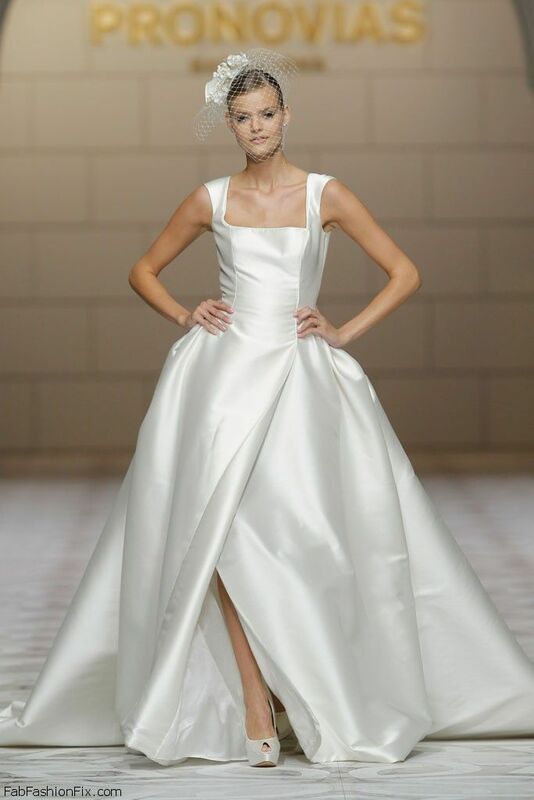 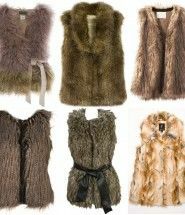 There is also plenty of satin and soft satin conjured into lingerie-inspired dresses with a touch of Hollywood glamour from the thirties and forties. 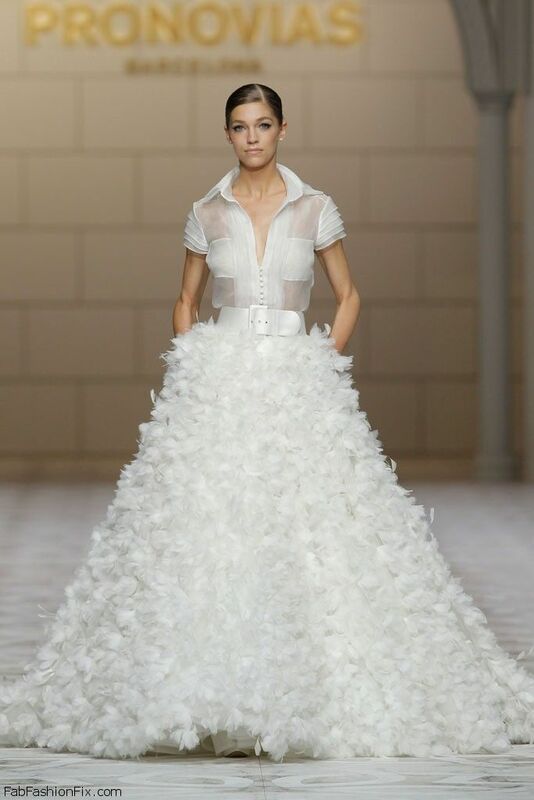 Tulle has been used to create sinuous layering on long sleeves and at the neckline and back, embellished with delicate embroidery creating a magical tattoo effect on the skin. 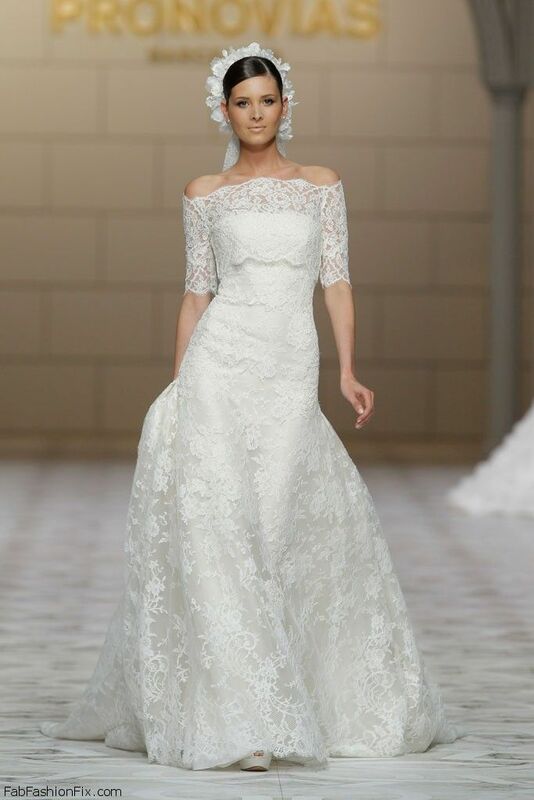 Plunging backs and necklines with floral lace, new hand-draping and embroidery in pastel colours give a romantic air to these gowns presented by the firm at a special time for the Catalan firm, its 50th anniversary. 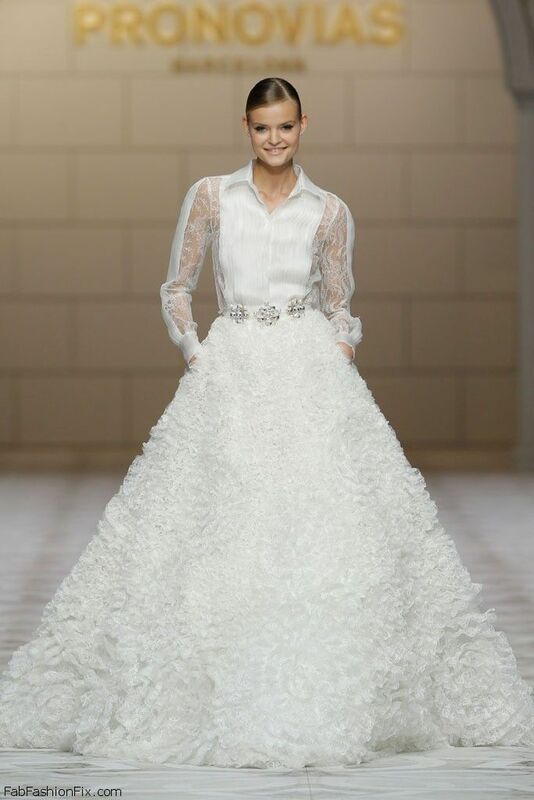 This year famous model names Karolina Kurkova, Sigrid Agren and Constance Jablonski walked the runway in gorgeous Pronovias wedding dresses.